How Do I Get KilnLink? How Do I Install KilnLink? KilnLink is a cloud based Kiln Monitoring System that allows you to check the current status, view firing history, and see the diagnostic data of your kiln from anywhere you have access to the internet. It will even send you text messages if an event occurs such as, your kiln has cooled to a temperature where it is safe to unload or your kiln has been started. KilnLink is extremely helpful when you have multiple kilns to manage with multiple people firing them such as school districts. Think of it as a kiln management system. From a single location you can check the health of every kiln in your district, monitor that kilns are being fired within school guidelines, and so much more. With the new WIFI equipped Touchscreen Controllers there is also a free scaled down version of KilnLink that allows you to view just the current status of your kiln through a free APP. On the full version of KilnLink you can still monitor your kiln on your smartphone but you do so through a Mobile Web Application. It looks just like a regular App but is accessed by logging into your MySkutt Account through your web browser. Also, with the New Touchscreen Controllers, access to the Full Version of KilnLink just got easier and more affordable. Because it has built in WIFI, you no longer need additional hardware to connect your kiln to the cloud. For more information on the differences between the Free App and the Mobile Premium Version of KilnLink click here. KilnLink connects your kiln to the internet and feeds information from each firing in real time to the KilnLink Database. Authorized users just log on to their account using a computer or smart phone connected to the internet. You can even set it up to send you Email or Text alerts. Know what you kiln is doing at all hours of the day no matter where you are. You can check the current temperature, view a graph of the firing, even check multiple kilns. The peace of mind you will gain from knowing your kiln is safely off is invaluable. All of your firings are logged on the server so you can go back and check your notes to see what has worked in the past. You can also monitor the costs of your electrical use for budgeting purposes. Checking the amperage and voltage of your kiln is necessary at times in order to diagnose problems and anticipate maintenance. This can be expensive to hire a professional. 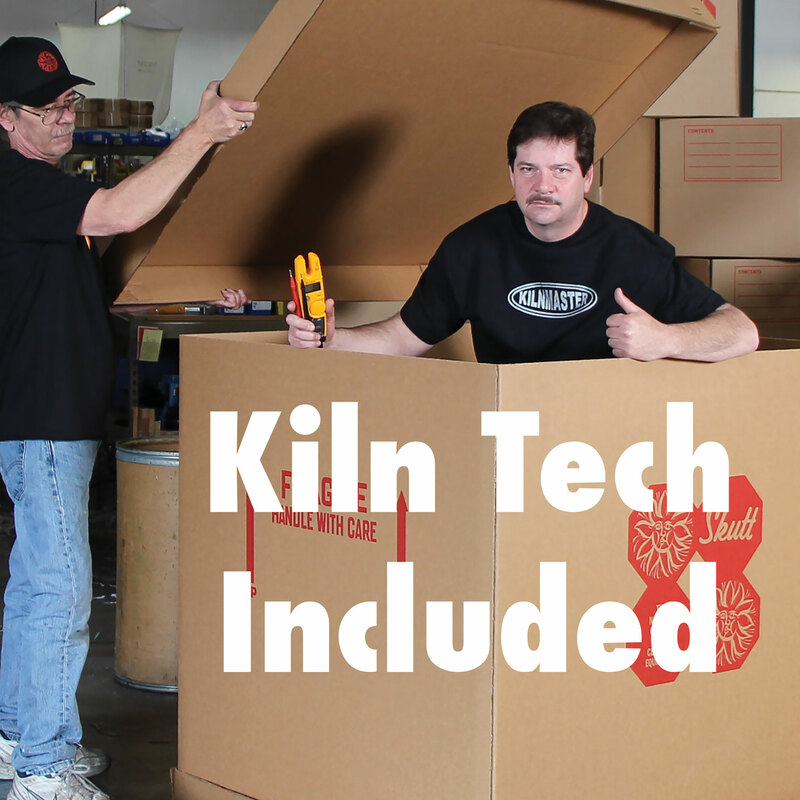 With KilnLink all of that data is logged without even having to open the control box. It seems everyday our schedules get tighter and tighter. Most teachers are required to monitor their kilns. 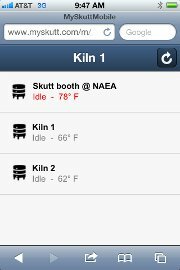 KilnLink gives teachers the freedom to know what is going on with their kiln without having to go to the kiln room. That means more time with the students and more freedom for the teacher. Often times it is not realistic to keep a teacher at school for the entire length of a kiln firing. KilnLink can keep Ceramics a viable option for schools. Art Coordinators can even be authorized to view all the kilns in their district. Kiln Maintenance can be expensive and unpredictable. With KilnLink Skutt technicians can pull up all the data they need to diagnose your kiln and avoid multiple trips from your kiln repair contractor. Your contractor can also be authorized so they can evaluate each kiln for future maintenance and handle problems before they happen.